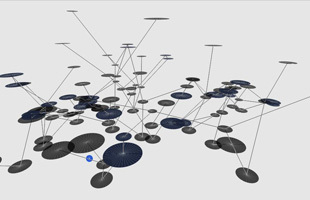 The program is atomized, shuffled and reorganized based on a system of interacting programmatic trees that intervene their branches in order to generate a more complex programmatic distribution. In this sense, the notion of randomness is explored to help in the creation of the incubator as a programmatic problem. Move the mouse over circles to make them branch. Left click mouse to reset circles to original configuration. Nicolas Stutzin (Santiago, Chile) obtained his professional diploma in Architecture from the University of Chile in 2006 and a MS in Advanced Architectural Design from the Graduate School of Architecture, Columbia University in 2010. 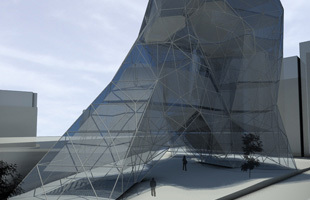 Since 2005 he has worked independently and in collaboration with several architects in Chile.